This right here is where I was yesterday. I have a rather large yard sale going on this weekend. It's been fun so far although it's amazing the people that try to pay a penny for a ton of stuff. I exaggerate a bit, but still. I'm about to head out and set up for today and I wanted to shoot out a little update on what I'm up to. It's been going well so far, sunburn and all, but I'm nervous about the yard sale craziness that is about to descend upon us this morning. 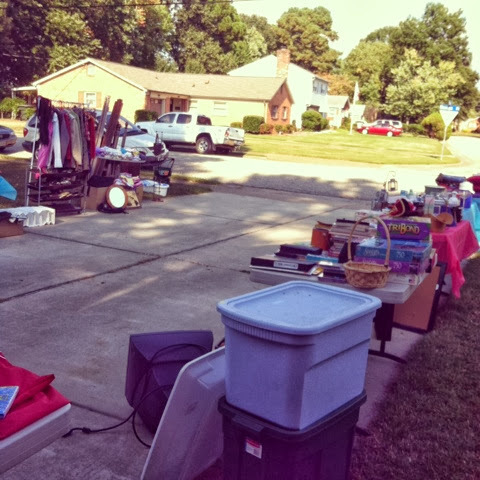 And there are several yard sales in our area so everyone will be here.